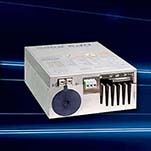 The DPS diode driver has integrated power factor correction and offers power ranges from 1000W to 3000W with diode currents up to 100A and diode voltage up to 150V. The The DPSP diode driver is a pulsed version offering power ranges from 1000W to 3000W with diode currents up to 100A and diode voltage up to 150V. . The MCM diode driver can be used for CW, modulated or pulsed operation providing up to 40A in CW operation and 80A in pulsed operation at up to 46V. The DT and DTP series laser diode drivers offer an integrated driver and TEC control. 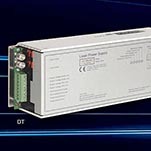 The LPD-2 diode driver can be used for CW, modulated or pulsed operation providing up to 2A with 23V.